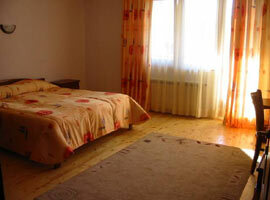 ﻿ Kris hotel in Devin. 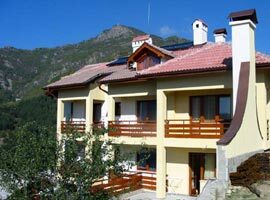 Book Kris hotel in Devin SPA resort, Bulgaria. 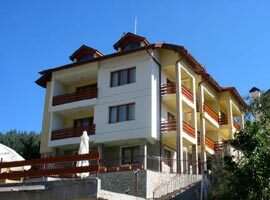 Kris hotel. 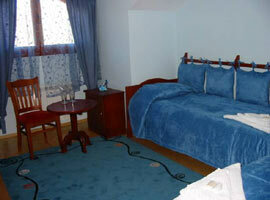 Hotel Kris is a brand new cozy hotel in Devin. 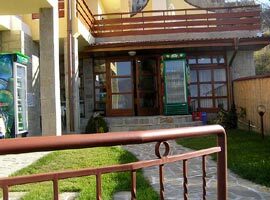 The hotel offers seven double rooms, apartment with three beds, apartment with four beds and on apartment with three rooms with two beds in each room. 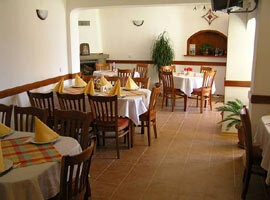 The total capacity of the hotel is 28 beds plus a restaurant for 35 persons. 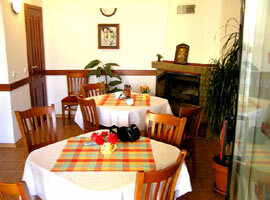 The restaurant offers traditional Bulgarian food and cuisine from the Rodopi Mountain. 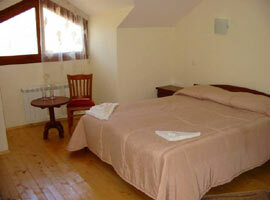 The hotel offers local heating system, cable TV and telephone, guarded car park, table tennis and a library. 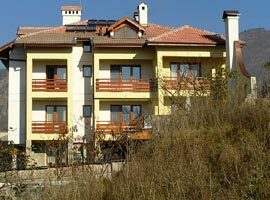 The good holiday is guaranteed by the additional services offered by the hotel- hiking tours in the mountain, hunting and fishing tours, outside picnics among virgin nature, fruit and herbs picking, ski trips to Pamporovo, excursions to Iagodinscata Peshtera (cave), Diavolskoto garlo and Ledenica, Smolyan, Shiroka Laka, Gela, Trigrd, Dospat, Chudnite Mostove (natural rock phenomenon) and the Bachkovo Monastery. 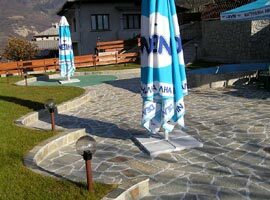 The guests of the hotel can also enjoy a relaxing procedure with healing mineral water from the spring “Bedenski bani”- baths, sauna, swimming pool and etc. 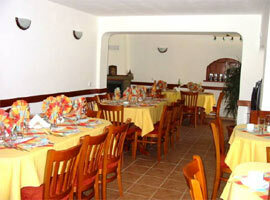 Folklore dinners and other surprises are also offered for the official holidays. 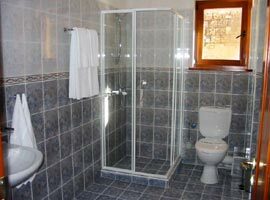 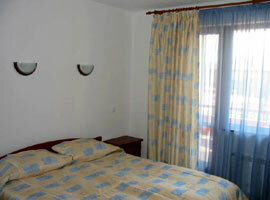 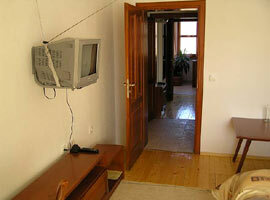 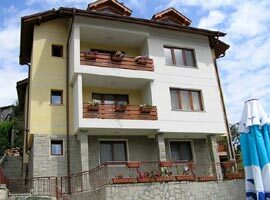 Hotel Kris also provides conditions for self catering.